The One-Stop Shop for all your Event Needs! Make an Impression. Make it Unforgettable. PREMIUM SERVICES FOR ANY OCCASION! See why our clients chose to make their event a SCENIC EVENT! We Iive by the motto of “If you do what you love, you won’t work a day in your life” and believe that should be the kind of person you put in charge of making your day special! Our humble beginnings were as a DJ and his fiancee running sound for weddings in the Chattanooga area. We built a website and a client base, worked hard and kept smiles on our faces, and one after another we added more and more services. Before long, it didn't make sense to just be Scenic Sound Solutions; we are more than just a DJ and his now wife. 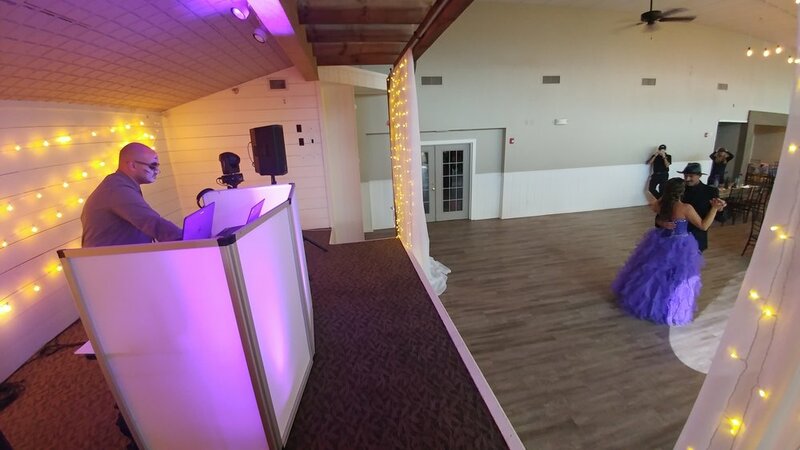 Scenic Sound Solutions is still in operation as a branch of Scenic Event Solutions, but no matter which name you see, when you book with us, you are guaranteed to get the best service for all of your events! Scenic Event Solutions is lucky to be located in such a central location like Chattanooga. Our reach of business extends from Knoxville, to Nashville, to Atlanta, and even Birmingham and Charlotte; we want to be a part of everyone's big day! However, we do have a 60 mile radius that we consider our "Home Base" and anything outside the radius we charge $3 per extra mile, to cover travel expenses.